Kenny Cummings, a four-time AHRMA National Champion racer, grew up in Seattle, Washington. A musiccian from an early age he was drawn to the music scene in NYC. After touring with musicians from Elvis Costello and Aretha Franklin to Midnight Oil he settled down with a publishing job. His first bike soon followed: a 1974 MKII Norton Commando. Kenny's hobby eventually turned to racing. In the small East Village garage of Rising Wolf he assembled his first racer from a rusty 1962 Featherbed frame which he then campaigned in the AHRMA racing leauge. After years of building and perfecting his own racing bikes he quietly opened his shop, NYC Norton, to a few select customers. Building and tuning bikes for others who want a high level of performance from their vintage Nortons. Follow us on a scratch build of a vintage racing motorcycle. We will assemble a period bike from a long list of custom made race parts. Our goal is to make it onto the track by the end of the year and win. Vintage racing has been growing over the years in the US. Historic racing leagues such as WERA and AHRMA have inspired old and new racers to bring vintage machines out of the garage and onto the track. The competition is real, and demands a motorcycle that would reach the podium in its day. With a timeless design we hope to get there in style. Colin Seeley was born January 2, 1936 in Crayford, Kent, England. 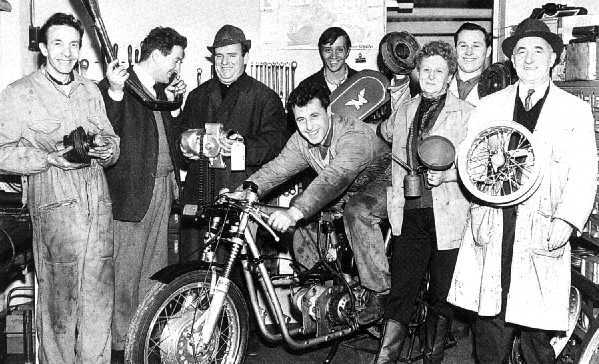 His father was an enthusiast as well who first owned a Triumph and saved all he had to upgrade to his beloved Vincent. Colin’s riding and racing career started at an early age, opening his first shop at age eighteen. Between 1961 to 1967 Colin Seeley became one of the top side-car pilots in the United Kingdom and Europe where it was a major sport, and came close to winning the World Championship. Colin’s real calling was in building racing motorcycles. His first frame was constructed in a simple shop using basic tools, along with his intuition that there is a better way. 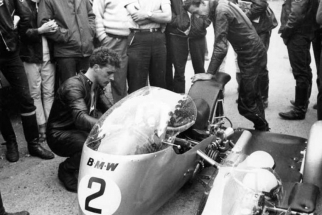 He understood the importance of diagonal tubes to connect the steering head to the swing arm pivot and used the engine as a stressed member. In the late 1960’s Colin Seeley acquired rights to the Matchless G50 motor and produced the Seeley G50 Racer. 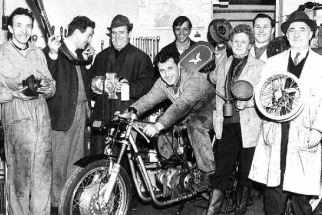 His initial motors were supplied by AMC, the parent company of Matchless and AJS. When AMC failed Colin took a leap of faith and purchased the racing department along with the tooling needed to continue production of the G50 motor. He felt the demand would still exist within the racing community… a sizable risk given the overall decline of the British motorcycle industry. 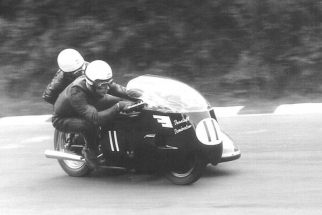 Colin Seeley Racing Developments had entered its golden age with Dave Croxford taking the 1968 and 1969 British Championship aboard a Seeley G50 Racer. John Cooper took the North West 200 in 1968 and John Blanchard won the same race in 1969. The Senior TT in 1969 had a very strong showing with a 3rd, 4th and 5th place. In 1970 Tommy Robb placed 4th in the 500cc World Championship as a privateer. The Seeley G50 Racer was an outstanding motorcycle and remained competitive even in the face of the 4-cylinder MV Augusta. Seeley produced four iterations of his racing frame, the MKI – IV, with the later frames adapted to the Norton Commando motor. As the Japanese bikes began to dominate in the 1970’s Seeley moved on to produce frames for Honda motors as well as race cars, but the heyday of British racing bikes had past. To really learn the full story you should buy his fine book from the man himself!